At the Scene of the Crime: Long live the Queen (of Crime)! Long live the Queen (of Crime)! It didn’t take me long to read all of Agatha Christie’s novels—it took me just over a year, and the delay was due to my staying in Poland for two months, with no access to Christie whatsoever except through Polish translations… which I quickly learned were extremely subpar. But at any rate, something about the Queen of Crime has always attracted me, and until I came across the work of John Dickson Carr, Agatha Christie was my favourite crime writer of all-time. And it was that passion for Christie that led me to purchase John Curran’s Agatha Christie’s Secret Notebooks. During a recent excursion to my local independent bookstore, I decided to buy both this book and the recently-released second volume, Agatha Christie’s Murder in the Making. I spent some time reading bits and pieces from both books. After a while, I decided to just sit down and read the entirety of Agatha Christie’s Secret Notebooks, cover-to-cover. The result is quite frankly the best book on Agatha Christie that I have read since Robert Barnard’s brilliant A Talent to Deceive. John Curran, a lifelong fan of Agatha Christie, has dug through the Queen of Crime’s notebooks and deciphered some practically illegible handwriting—in itself rather an achievement! 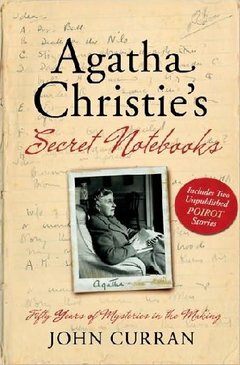 But more than that, he goes through the Notebooks scrupulously and reveals some astonishing new information about Christie and her work. As a result, the book is a fascinating look at the creative process of one of the all-time great detective novelists. And it only got better from there. As I have mentioned, the book contains a goldmine of information. For fans of Agatha Christie, this is an invaluable reference tool… and its being an engaging read only helps! For instance, did you know that an early list of characters for And Then There Were None contained twelve characters, not ten as in the final novel? (This, of course, is of particular interest to me since Curt Evans and I quite recently wrapped up writing the article series Ten Little Indians!) Not only that, John Curran challenges the widely-accepted chronology for the writing of Sleeping Murder—for good reason, as you will be able to tell for yourself! But most fascinating, for me personally, was how interested I was in the (very few) books that I personally did not like! In particular, I have despised Endless Night ever since I read it for the second time and discovered how empty-headed the characters had to be for the plot to exist. But Dame Agatha seemed to enjoy it and critics went mad over it, and John Curran himself seems to hold it in high esteem. 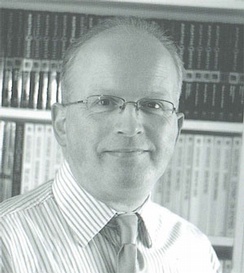 Curran’s praise of the book is highly intelligent and extremely passionate, to the point where I begin to wonder whether I ought to read the book again and see if my opinion will change. 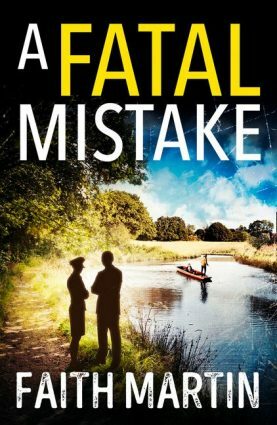 For—as it turns out—many of my major objections to the book were apparently added at the insistence of the publisher, to turn it into more of a whodunit! Remove these elements, and suddenly you have yourself a story in the vein of Margaret Millar—whom, it just so happens, I adore. Ah, but that’s not all! For the incredibly low-price of [insert price in your currency here], you also get two never-before seen Agatha Christie stories! 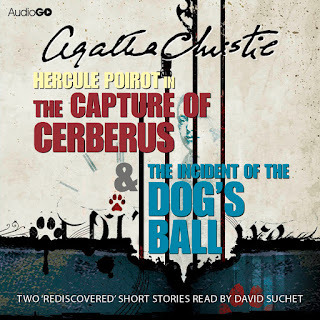 Both of these involve her great detective Hercule Poirot, and one of them is the original edition of The Capture of Cerberus, the final Labour of Hercules! The genesis of the story is a complex one, and for the full history I will refer you to Curran… but it’s fascinating after all this time to read a new Poirot story. It’s probably the last chance I will ever get to read a new Poirot—and so, years after saying goodbye to the Belgian in After the Funeral (the last Poirot I read), I was ecstatic to meet him anew in two new adventures. Surprisingly, The Incident of the Dog’s Ball, a precursor to the novel Dumb Witness with a very similar plot, outshined The Capture of Cerberus. 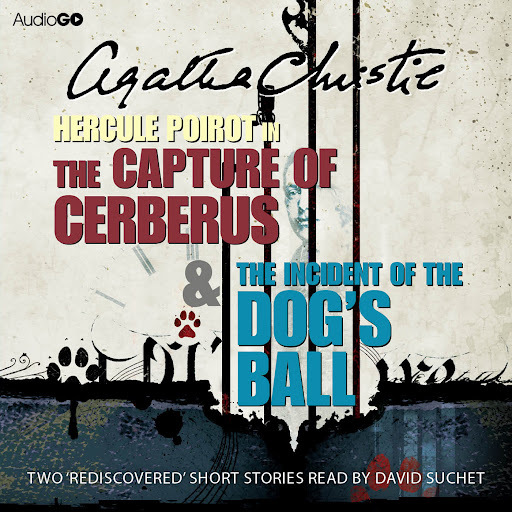 The Dog’s Ball is a classic Poirot case, with cryptic questions, a village setting, and a well-worked solution. Meanwhile, The Capture of Cerberus handles the parallel to the twelfth Labour of Hercules excellently. However, the tale was too political for its own good—the anti-Nazi message really interfered with the story’s enjoyability and the political message ended up dominating the story... not to mention the silliness that the solution turns on! Still, I found the tales solid reading and, in the context of Dumb Witness and The Labours of Hercules, which we learn so much more about, they were quite fascinating despite flaws in the individual stories. And John Curran includes some interesting insights in his endnotes! The first question put to an author, personally, or through the post, is: 'Where do you get your ideas from?' The temptation is great to reply: 'I always go to Harrods,' or 'I get them mostly at the Army & Navy Stores,' or, snappily, 'Try Marks and Spencer.' The universal opinion seems firmly established that there is a magic source of ideas which authors have discovered how to tap. While Christie herself may have found it difficult to explain her creative process, John Curran has done an admirable job going through her notebooks and giving his readers an inside glimpse into that fascinating creative mind. And for that, I applaud him— this book is, to put it simply, a must-read. Final Note: Look out for a review of Agatha Christie’s Murder in the Making in the near future! Ugh. Endless Night - not a great book, whoever wrote the various bits... I presume that it's the second death that's the major addition, and as you've said, that is the stupidest part of it. But the conclusion must still be Christie's and that bit's sub-par as well. Thanks for flagging up this book, Patrick. I'll keep an eye out for it when I've finished off the few outstanding gaps in Christie's back catalogue. I'm still inclined to agree with you over ENDLESS NIGHT, but John Curran's defense of it is really quite intelligently written, so that even if you disagree you can see why it holds such a fascination for some readers. I'm hoping to read both MURDER IN THE MAKING and ON CONAN DOYLE before the awards are presented so that I can appreciate them more. Maybe next year I'll be able to read all the non-fiction stuff nominated for an Edgar or Agatha or something of the sort as a pet project, but I didn't get the idea in time to carry it through this year. 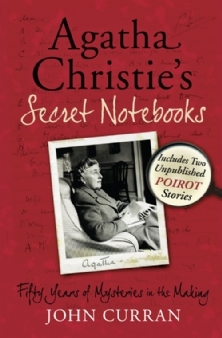 This is an essential book for the Agatha Christie fan, but newcomers to Christie need to be warned because there are so many spoilers! I'm one of those readers who really enjoyed ENDLESS NIGHT, especially as I think it stands out amongst late Christie which could be pretty uninspired stuff, and is also an interesting attempt to test different waters. But in the meantime, great review Patrick - I haven't come across Curran's books so shall look out for these. It is enjoyable and fascinating, and sometimes invaluable. I've referred to it a few times when writing blog posts to makes sure I wasn't second guessing Christie too much. But I agree with Les that the organisation could be better. Curran also has a habit of getting carried away and presenting speculation as fact. I didn't realise there was a second volume. I'll have to look it up. Also, although it's hardly Curran's fault, it's a real disappointment that there were no notes found concerning The Murder of Roger Ackroyd. I am very glad that the original Twelfth Labour of Hercules was ditched. It was truly awful. As she presented it to the publisher early in 1940, when the war was going badly and it was due to be published in the autumn of 1940, when it was going even worse, I cannot begin to understand what possessed her to do a cutesy tale like that about Hitler.